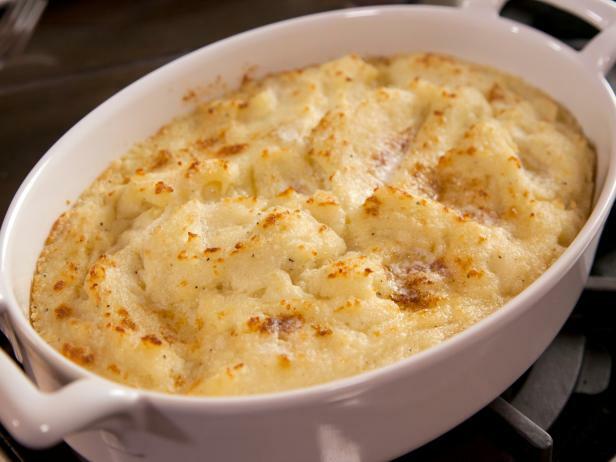 The cream cheese is a nice addition to these creamy mashed potatoes. Preheat the oven to 350 degrees F. Generously butter a 2-quart baking dish. Turn off the heat and add butter, the cream cheese, heavy cream, sea salt and pepper. Mash to combine. Spread the potatoes in the prepared baking dish. Bake until the potatoes are warmed through, 20 to 30 minutes.